The headmaster of Hope's Peak Academy. 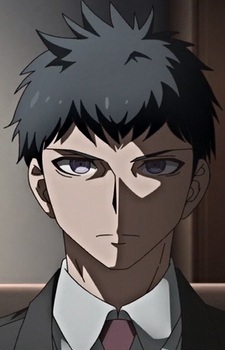 He is the deceased father of Kyouko Kirigiri. After walking out on the Kirigiri family and becoming the headmaster of Hope's Peak Academy, Kyouko became angry with him and assumed he was only using her mother's death as an excuse to leave. When trying to get onto the headmaster's computer, Kyouko tried many passwords, but in the end it was Makoto who figured out the correct password and gained access. The password was Kyouko's name. As Kyouko and Makoto investigated the headmaster's office, Makoto discovered a picture the headmaster saved of himself and Kyouko when she was a child. His execution, "The Space Journey", took place at the very beginning of the Dangan Ronpa anime and video game. He was executed by SHSL Despair, prior to the beginning of mutual killing. His bones were put in a wrapped box which was found by Kyouko later in the series. It is later revealed to be his plan to have the students locked inside of Hope's Peak Academy, and the main purpose of this was to protect them from the dangerous incidents occurring outside. Kyouko and Makoto discover interviews he had with each and every student before he put his plan into action, and in these interviews he asked for each student's approval and made sure they were alright with the possibility of spending the rest of their lives inside of the school.